| Home | New Jerusalem Singers | Christian Santa with Jesus Message | What We Believe | House Church | Ray's Page | Need to Read These | Links | Photos | Article of the Month | Articles | Article Links | Want on Our Mailing List? While many people think that Santa Claus and the birth of Jesus have little to do with each other, we beg to differ. What child doesn't love Santa? 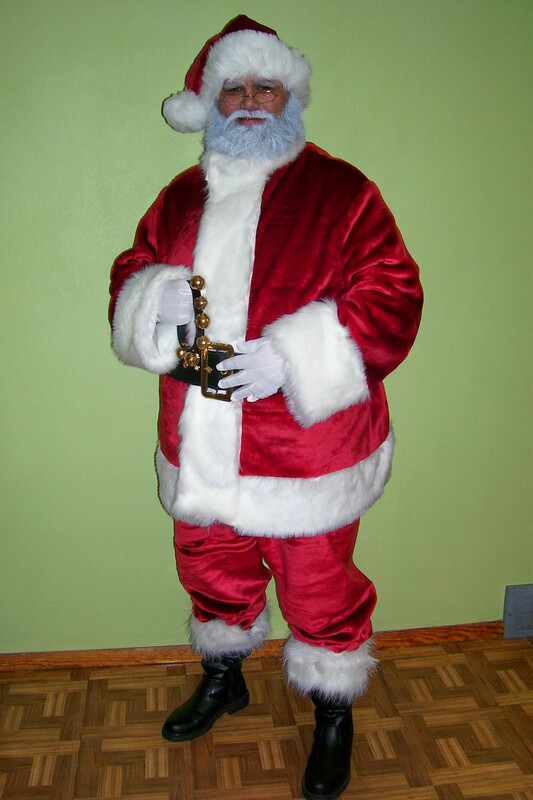 This big guy in a red suit and a white beard has been a part of many Christmas traditions for many years. Kids love Santa. Kids tend to listen to what Santa has to say. Therefore, we ask the question, who better to tell youngsters about the true meaning of Christmas than the big guy himself..... Santa Claus? Again, kids listen to what Santa has to say. Santa and Mrs.Claus are available to come to your church, civic group, event or home to give gifts to the children, to lead the children in Christmas carols, to interact with the kids and, if invited to do so, to share the true meaning of what Christmas is all about on a child's level. Santa is available year round. If you are considering a "Christmas in July" event, feel free to give us a call. Santa and Mrs.Claus would be happy to help out. You might want to schedule early so that you are able to book the date you desire. As you know, Santa's schedule fills up pretty quickly as the Christmas season approaches. Remember, Jesus is the Reason for ALL seasons!